The Son of God in throne. But ever he made great moan. 'Mother,' he said, 'how should I sleep? How should I leave my moan? And after deyen on the tree for love of all mankynne. 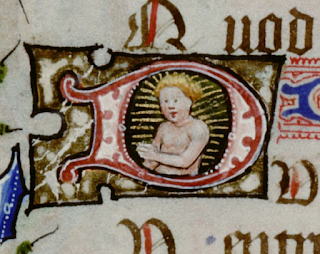 Thou art comen amonges hem that thy deeth shullen yare. The central idea in all these poems is that we live in a 'weeping world', a place of many sorrows; this baby faces pain and death in his future because he has come to share that sorrow, to feel the grief that all human beings feel, and to suffer for our sake. In James Ryman's poem the keyword, repeated again and again, is that poignant alone. 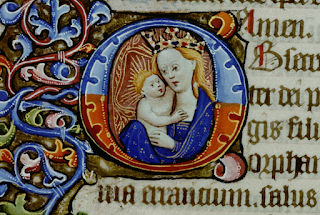 The carol plays delicately with the different shades of meaning this word had in Middle English, so it doesn't quite mean the same thing every time it is used here: sometimes it means 'solitary', but it also means 'only', conveying the sense that this child alone, by his death, can save mankind. In response to Mary's confusion about why her child should suffer by his Father's will, alone also emphasises the unity of will between the Father and the Son (they are 'all one'). 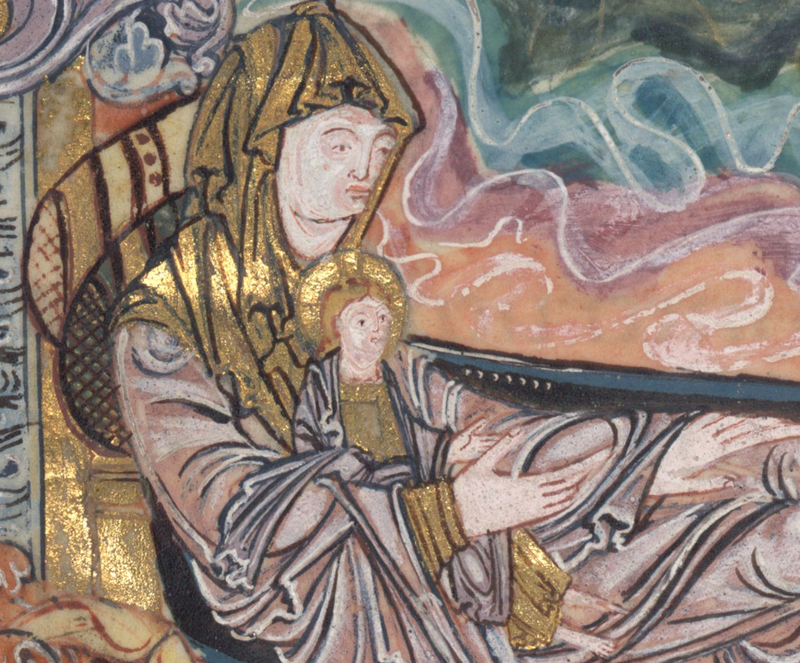 No wonder poor Mary struggles to understand, and the carol follows several stages of her confusion and her attempts at comfort: if everything in the universe is at her baby's command, she wonders, what can there be to cry about? She knows her child's power, and his nature - that he is God, equal with his Father - but not what that means, or what it will mean for her. His death alone is also his choice alone; her child is God enough to choose his own death, and yet human enough to weep for it. 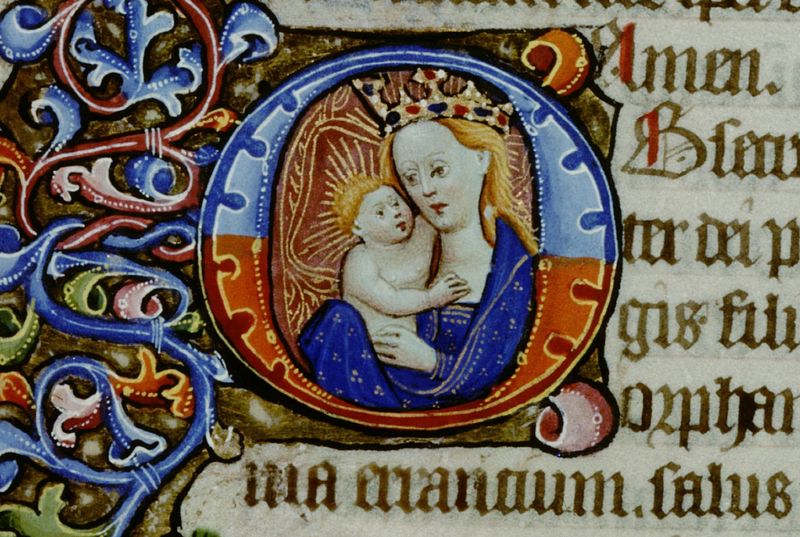 It's Mary's reaction which makes this poem particularly moving, especially when she begins to comprehend, and asks him not to leave her: 'If it may be, me not forsake / In care and woe alone.' The force of her grief is reminiscent (perhaps deliberately so) of the powerful dialogues between Mary and Christ on the cross, such as 'Stond wel, moder, under rode', where she clings to her son and cannot let him go, though he begs her to let him die. There she learns, her son tells her, a common sorrow: 'What pain they endure who children bear, / What sorrow they have who children lose.' In her grief she gains kinship with all mothers, just as Christ, becoming a crying baby, shares a pain we all have known. This fair, lovely word mother, it is so sweet and so kynd of itself that it may not verily be said of none nor to none but of him and to him who is very Mother of life and of all... And in this I saw that all our debts that we owe, by God’s bidding, to fatherhood and motherhood is fulfilled in true loving of God, which blessed love Christ worketh in us; and this was shewed in all, and namely in the high plenteous words where he sayeth, I it am that thou lovest. 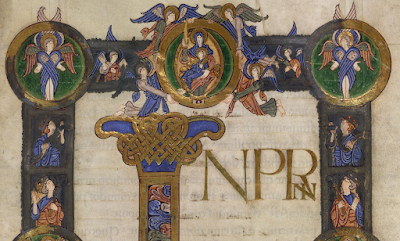 This is the last section of the Anglo-Saxon poem inspired by the Advent O Antiphons. It follows directly on from the section in my last post (comprising lines 416-439 of the poem), and is based on the antiphon 'O admirabile commercium', which has been set to music by a number of composers. monna cynne þurh his modor hrif. dæleð dogra gehwam, dryhten weoroda. ealne widan feorh wunað butan ende. Amen. O, that is a wondrous exchange in the life of men! to the race of men through his mother's womb. to help mankind, Lord of hosts. and most eagerly praise God. live forever without end. Amen. ealne widan feorh wunað butan ende. 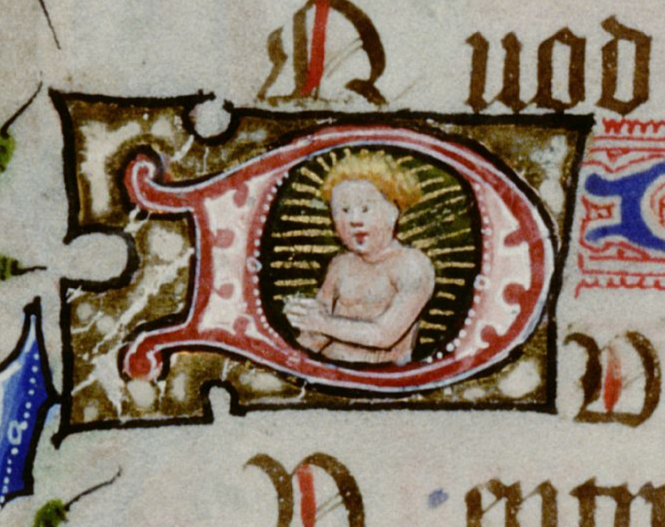 Who is 'he' here? Sometimes clearly Christ, and sometimes the mindful man, but the last, at least, might well be both. Perhaps they become one in that strange place, a final wonder from a poem full of marvels: a land where humans have never yet been, but which is their true home. 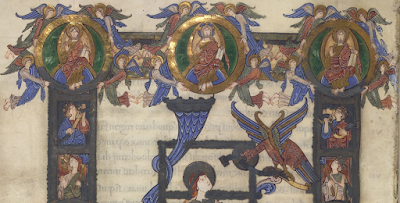 In the last week before Christmas, I'd like to turn once again to the Anglo-Saxon poem inspired by the 'O Antiphons', texts sung at Vespers in the closing days of Advent. You may have sung or heard a version of these texts without knowing it, because some of them are the basis of the popular hymn 'O Come, O Come, Emmanuel'; and more than a thousand years ago an anonymous Anglo-Saxon poet used them as the basis for a dramatic, beautiful and allusive poem, which today is known as the Advent Lyrics or as Christ I. Most commonly today seven O Antiphons are used, which are all addressed directly to Christ, but in medieval practice there were other antiphons grouped with these which meditate on other figures in the story of the Incarnation. 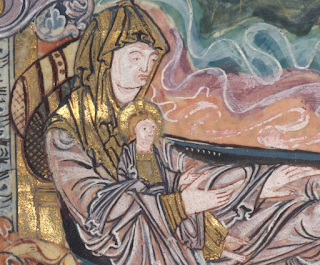 In the Anglo-Saxon poem several of the sections focus on Mary, including a wonderful sequence I looked at in detail last year, as well as a dialogue between Mary and Joseph. There are also two - the last in the whole sequence - which are more general reflections on Advent themes, and I'll look at those this week. First, a poem addressed to the Trinity (lines 378-415 of Christ I). It's not entirely clear which antiphon may have inspired this section, but as you read the translation you may spot allusions to some other, much more familiar, liturgical texts. wærfæst onwrah þæt we hine witan moton. a butan ende ece herenis. has revealed a Saviour to us, that we may know him. nearest to our Saviour in those courts of peace. This is a poem peopled by many beings: the Trinity, multitudes of angels, and all of us creatures here on earth. 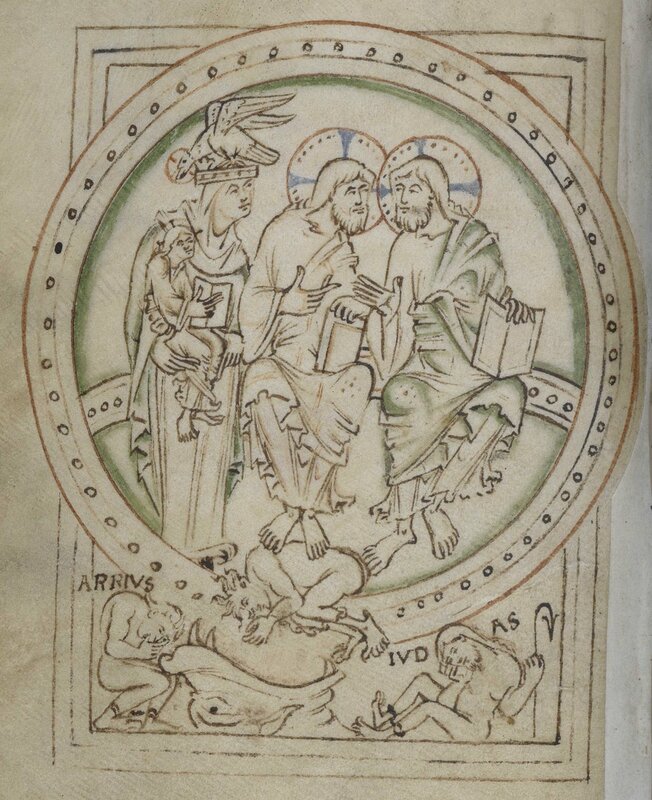 It opens with the Trinity - the Old English word for that is simply þrynes, 'threeness' - and a triplet of alliterating adjectives, a little trinity of words: heah, halig, heofoncund 'high, holy, heavenly'. The first seven lines reflect on this threeness and its relationship to us, the eorðware, 'earth-dwellers'. There's another beautiful triplet in the sixth line, which packs together all in one half-line us hælend god, 'us, Saviour, God' (i.e. '[to] us a Saviour God [has revealed]'). The syntax underlines the idea that the Saviour (hælend means 'healer, saviour' but is also the usual name for 'Jesus' in Old English) unites us and God - a meaningful bit of grammar it's difficult to reproduce in translation. As often in Old English religious verse, human beings - you and me - are here called 'speech-bearers', reordberende. 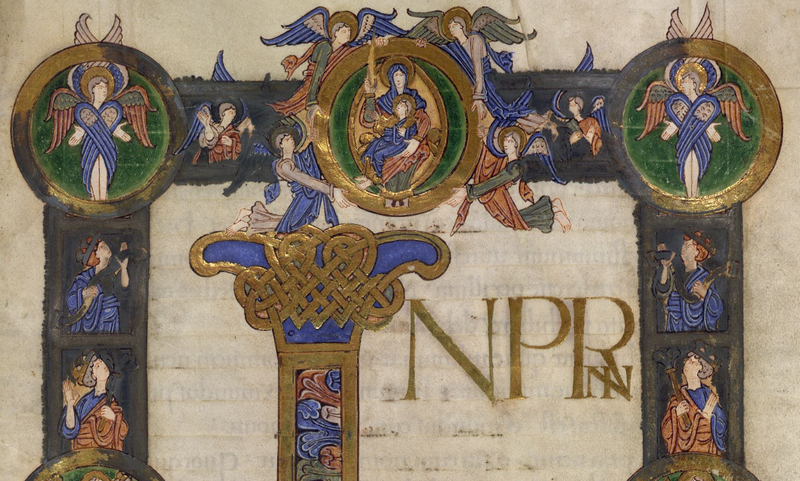 This is a word which might perhaps be familiar from The Dream of the Rood, and it's a kenning which defines human beings by their ability to speak; but Anglo-Saxon poets were interested too in all the other creatures who might also have, or be imagined to have, voices of their own. In The Dream of the Rood it's when human 'speech-bearers' are asleep that a solitary wakeful listener is able to hear the voice of Christ's cross, a tree speaking to him out of the silence and the darkness. And in this poem, the loudest voices are those of the angels - not us earth-dwelling reordberende. They are 'ever praising', singing unaþreotendum þrymmum 'with untiring strength', beautifully and with voices which resound through the universe. This is a lovely moment: lacan is a verb which means (as one dictionary defines it) 'to swing, wave about, move as a ship does on the waves, as a bird does in its flight, as flames do'. It's a free and unfettered movement, full of life and energy. The angels are like a flock of birds in flight, a murmuration swooping with one intent and calling with one voice: halig, halig, halig. This is an unearthly sight, but in those heavenly courts the king they serve is not a stranger: he's called ussum nergende, 'our Saviour', and he belongs to the earthbound as well as to the angels. The Old English poet is directly using this liturgical source (which he presumably knew in Latin) and yet in the middle of the passage translating the Sanctus, there are also two epithets which seem to belong to another world - non angeli, sed angli! God is called wigendra hleo, 'shelter of warriors', a phrase used in Anglo-Saxon poetry of kings and heroes; exactly the same phrase is used in Beowulf of Hrothgar, of the hero Sigemund, and of Beowulf himself. The word hleo means 'shelter' or 'refuge' (it survives in the word 'lee', as in 'leeward' or the lee of a hill - the side sheltered from the wind). It's paired here with the phrase helm alwihta, 'helm of all creatures', another kingly epithet. This too is a form of protection - a helm is a covering, a literal covering like a helmet or a metaphorical one like the 'helm' of night above the earth. So God is imagined as the lord and guardian and beloved leader of a heavenly troop, those flocks of angels, and of an earthly one too - the multitudes of the lowly, to whom comfort is coming. 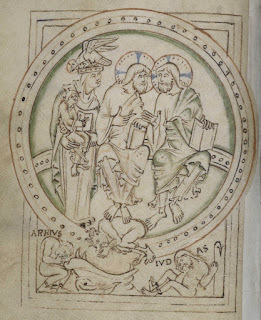 Readers of this blog may be interested in watching this series of talks given recently in Oxford (in connection with the Bodleian Library's exhibition Tolkien: Maker of Middle-Earth) on the subject of the medieval languages which interested and influenced Tolkien. There were lectures on Old and Middle English, Medieval Welsh, Gothic and Old Norse (my contribution). If you're interested in Tolkien, the whole archive is worth exploring - the Bodleian have made available talks dating back to 2008, on a range of topics relating to Tolkien and his works. In my lecture I talked about Tolkien's interest in Old Norse and especially in the legend of the Völsungs, which he explored in his long poem The Legend of Sigurd and Gudrún. This text interests me because it's such an individual take on the story; though it arises from a deep engagement with the medieval sources, it's far from a straightforward retelling of the legend. There are several ways in which this is true, but in the lecture I focused on the element of Tolkien's retelling which interests me the most: his Christian-inflected retelling of the story of Ragnarök. This too is highly individual, and while some lovers of Norse mythology might feel it detracts from the powerful bleakness of the Ragnarök myth, Tolkien's version has a poignant beauty of its own. His Sigurd, dragon-slayer, is not just a great hero but a Christ-like figure, the Chosen One (that's Tolkien's proposed interpretation of Völsung): the promised Saviour, the fulfilment of prophecies, whose return at the end of time will be the salvation of the world. Some of this is drawing on (in places directly translating) the description of Ragnarök in Völuspá, the first poem in the Poetic Edda, but its context and function are very different in Tolkien's poem. The fulfilment of this prophecy, as Odin ensures, is to be Sigurd: he who shall come, 'who death hath tasted / and dies no more.' Tolkien's reworking of Sigurd as a Christ-like figure is done with a light touch - a bit of subtle source-reshaping here, a resonant turn of phrase there - and it takes away nothing from the original story, but invites us to read it in a new light, with new eyes. All this seems particularly appropriate to think about here at the beginning of Advent, the season which by ancient tradition is not just a preparation for Christmas but an opportunity to reflect on the relationship between prophecies and their fulfilment, between the Old Testament and the New, between the first Advent and the Second Coming at 'the day of Doom'. Tolkien's interpretation of the story of Sigurd is a kind of typological reading of the myth, somewhat like the way medieval readers interpreted the different 'types' for Christ they found in the figures of the Old Testament: Isaac, Moses, Jonah, and more. Those figures and their stories were understood simultaneously to be real historical episodes and to be signs foreshadowing the story of Christ's birth, death and resurrection; neither reading takes anything away from the other, but offers an additional layer of meaning in the divinely-composed narrative of human history. eades ordfruma, þurh þa æþelan cwenn. beginner of bliss, through the noble woman. This poem is known today as Christ III and as it comes down to us in the Exeter Book (though probably not as originally composed), it stands last in a sequence of three poems which moves from Advent to Apocalypse, from creation to destruction and rebirth - as Völuspá does too, in its different way. 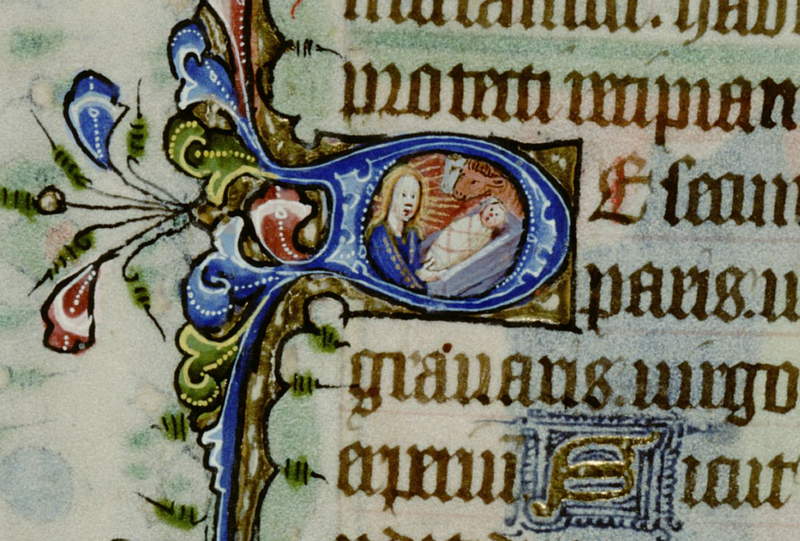 As I've said before, the medieval understanding of Advent was as a season which encourages new and exciting kinds of reading - a season rich in imaginative possibility for those who are prepared to read with the right eyes. Advent is the time when the church reflects on the many different kinds of meaning which Scripture, and the world around us, can reveal: the season for interpreting 'the signs of the times' written in the book of the world, and for reading a Christian interpretation into the prophecies and poetry of the Old Testament (the same kind of light-touch typological reading Tolkien offers in his version of the Sigurd story). The ancient liturgy of Advent is crafted to appeal to all the faculties of the mind and heart which we call upon when we read poetry, or take in stories in any form: it offers metaphor, allegory, foreshadowing, wordplay, expressions of urgent desire, and (especially in the link between Advent and Apocalypse) creative thought experiments with narrative time. Medieval liturgists were some of the greatest literary critics who ever lived - sensitive and imaginative readers of Scripture, who wove together connections between texts, between characters and words and ideas, and between moments in time, and hallowed the very act of reading as a way of trying to understand the mind of God. 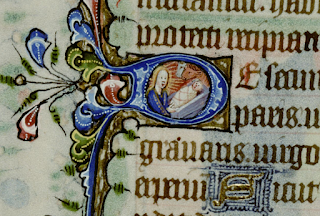 There's an imaginative fertility and a reaching ambition about the medieval view of Advent which offers something much richer than just a cheery countdown to Christmas. For many people the basic details of the Christmas story are so familiar that its strangeness and power and meaning have been sucked dry, and it doesn't have the imaginative appeal that other kinds of less well-known mythic story do - the story of Ragnarök, for instance, or the fierce beauty of the Poetic Edda. But Advent can be a yearly exercise in 'making strange' - reading old stories with new eyes.